Michael V. Ciresi was a name partner and Chairman of the Executive Board of Robins, Kaplan, Miller & Ciresi L.L.P. During his 43 years with the firm, he drove the firm’s litigation practice. Mr. Ciresi’s trial practice and consulting is focused in the areas of product liability, intellectual property, business and commercial litigation. He has represented individuals, corporations, and governmental entities throughout his career. Some of his more visible cases include Kraft Foods Global, Inc./Mondelez International, Inc. v. Starbucks; WCRA, et al. v. Wells Fargo Bank, N.A., et al., Charbonneau v. Boehringer Ingelheim Pharmaceuticals, Inc., and Pfizer, Inc.; Zwayer v. Boehringer Ingelheim Pharmaceuticals, Inc. and Pfizer, Inc., State of Minnesota and Blue Cross and Blue Shield of Minnesota v. Phillip Morris Incorporated, et al., Paul Wellstone, et al. v. Aviation Charters, et al., Honeywell v. Minolta, Unocal Corporation v. Atlantic Richfield Company, et al., Pitney Bowes v. HP, Ecolab v. Ford, et al., the Dalkon Shield litigation, Copper-7 litigation and the Government of India v. Union Carbide in which Mr. Ciresi was chief counsel to the Government of India. He has obtained nearly $12 billion in verdicts, awards and settlements on behalf of clients during his career. Mr. Ciresi is one of the few number of lawyers who has been recognized on two occasions in the National Law Journal’s annual list of “Ten of the Nation’s Top Trial Lawyers,” and in 1997, 2000 and 2006 was named by the Journalas one of the “100 Most Influential Lawyers in America.” In 2015,Benchmark Litigation named him one of the Top 100 Trial Lawyers in the United States. Best Lawyers named him “Minneapolis Bet-the-Company Litigation Law” Lawyer of the Year in 2012 and 2014 and Minneapolis Mass Tort Litigation/Class Action – Plaintiffs Lawyer of theYear in 2014 and 2015. In 1997, he was also named “Lawyer of the Year” by Minnesota Law & Politics. In 1998, he was awarded the “Trial Lawyer of the Year Award” by Public Justice Foundation (formerly The Trial Lawyers for Public Justice Foundation). 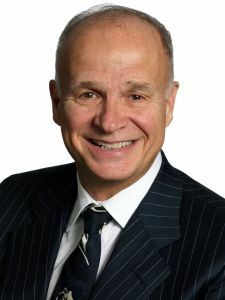 He has also been listed in The Best Lawyers in America since 1989 and was honored by the Australian National Consumer Law Association as “Product Liability Lawyer of the Year” in 1989 and in 1998 was given a “Lifetime Achievement Award” by the Minnesota Association for Justice (formerly Minnesota Trial Lawyers Association). Mr. Ciresi was named a runner-up for “Lawyer of the Year” in 1998 by The National Law Journal. In 2001, Mr. Ciresi was named best product liability attorney in America by Corporate Board Member magazine. Also, in 2001, an Honorary Degree of Doctor of Laws was conferred upon Mr. Ciresi by Southwestern University School of Law. In 2002, Mr. Ciresi was awarded the Ellis Island Medal of Honor by the National Ethnic Coalition of Organizations Foundation, Inc. Mr. Ciresi is one of 289 lawyers listed in The International Who’s Who of Patent Lawyers 2005 and is named in The Lawdragon 500 Leading Lawyers in America. He is also a member, among other professional organizations, of the American Board of Trial Advocates, American College of Trial Lawyers, Inner Circle of Advocates and International Academy of Trial Lawyers. Mr. Ciresi devotes a substantial amount of time to philanthropic activities. In 1999, he founded and serves as the Chairman and President of the Robins, Kaplan, Miller & Ciresi Foundation for Children. The Foundation has made grants in excess of $16 million with primary emphasis in pre-K – 12 education. He serves on the Board of Trustees for the University of St. Thomas, the Board of Governors of the University of St. Thomas School of Law, Board of Trustees of St. Thomas Academy, the Advisory Board for the Centre of Advanced Litigation at Nottingham Law School, Nottingham, England (term expired), the Board of Directors for Equal Justice Works (term expired), The Guthrie Theater (term completed 2005) and Ordway Center for the Performing Arts (term completed 2005), Regions Hospital Foundation (term completed 2009), Minnesota Early Learning Foundation, MinnCAN, Saint Paul Public Schools Foundation (term completed 2014), Parent Aware for School Readiness, and Children’s Hospitals and Clinics of Minnesota and Children’s Hospitals and Clinics Foundation Board (Chair 2013 and 2014). Listed in Marquis Who’s Who in American Law (1987-present)Being named to the list or receiving the award is not intended and should not be viewed as comparative to other lawyers or to create an expectation about results that might be achieved in a future matter. Lead counsel representing Kraft in a three-year arbitration regarding a breach of contract after Starbucks unilaterally terminated its agreement, cutting off Kraft’s exclusive rights to sell, market and distribute Starbucks roast and ground coffee in grocery and other retail outlets. The arbitration resulted in a $2.7 billion cash award to Kraft. Minnesota Workers’ Compensation Reinsurance Association et al. v. Wells Fargo Bank, N.A. Mr. Ciresi was co-lead counsel with Roberta B. Walburn. Four nonprofits – Minnesota Workers’ Compensation Reinsurance Association, Minnesota Medical Foundation, The Minneapolis Foundation, and Robins, Kaplan, Miller & Ciresi Foundation for Children – participated in a securities lending program run by Wells Fargo. The bank represented that the collateral in the program would be invested in short-term money market instruments, where the prime considerations would be safety of principal and liquidity. Instead, the bank invested a substantial portion of the collateral in risky and/or illiquid securities, including complex structured investments. The jury found that Wells Fargo breached its fiduciary duty and violated the Minnesota Consumer Fraud Act. In post-trial orders, the trial court awarded Plaintiffs attorneys’ fees, and costs and disbursements. The trial court also awarded Plaintiffs forfeiture of fees by Wells Fargo and awarded pre-and post-judgment interest. This was the first trial and recovery of this type in the country. On April 16, 2012, the Minnesota Court of Appeals issued its opinion affirming the trial court. On June 27, 2012, the Minnesota Supreme Court denied Wells Fargo’s petition for review. The final judgment, plus additional post-trial attorneys’ fees paid by Wells Fargo, totaled more than $57 million. Lead Trial Counsel in Charbonneau v. Boehringer Ingelheim Pharmaceuticals, Inc. and Pfizer, Inc. Represented plaintiffs in first Mirapex products liability bellwether trial. On July 30, 2008, jury returned a verdict in favor of plaintiffs for $8,279,300, including $7.8 million in punitive damages for failing to warn of risk of compulsive behaviors, including pathological gambling, from the Parkinson’s drug Mirapex. Lead Trial Counsel in Zwayer v. Boehringer Ingelheim Pharmaceuticals, Inc. and Pfizer, Inc. Represented plaintiffs in second Mirapex bellwether trial. Case was confidentially settled prior to closing argument. After the conclusion of the Zwayer trial, settlement negotiations resulted in settlement of all the firm’s Mirapex cases. Lead Trial Counsel in Whitley vs. Pfizer, Inc. Represented Plaintiff in first Chantix bellwether trial. The case confidentially settled three days prior to jury selection. Mr. Ciresi then engaged in settlement discussions which resulted in settlement of all firm Chantix cases. State of Minnesota and Blue Cross and Blue Shield of Minnesota v. Phillip Morris Incorporated, et al. Mr. Ciresi was co-lead counsel with Roberta B. Walburn for the State of Minnesota and Blue Cross and Blue Shield of Minnesota in a groundbreaking lawsuit against the tobacco industry. After four years of litigation – including discovery of more than 30 million pages of internal documents, litigation of crime-fraud privilege issues, more than a dozen interlocutory appeals (including two to the United States Supreme Court) and four months of trial, the case settled on May 8, 1998, on the eve of jury deliberations for $7 billion and unprecedented injunctive relief against the tobacco industry. Received Trial Lawyer of the Year Award from Trial Lawyers for Public Justice for work on the litigation. TriStrata Technology, Inc. v. Mary Kay Inc.
Mr. Ciresi was co-lead trial counsel with Jan M. Conlin on behalf of TriStrata Technology, Inc. in a patent infringement case relating to alpha hydroxy acid (AHA) anti-aging technology. TriStrata was awarded $26.4 million in damages plus interest by a Delaware jury in March, 2005. A final judgment including pre-judgment and post-judgment interest brought the total award to more than $43 million and the verdict was summarily affirmed by the United States Court of Appeals, Federal Circuit on January 10, 2007. Mr. Ciresi was lead counsel on behalf of Honeywell in the Honeywell v. Minolta autofocus patent litigation, which resulted in a jury verdict of $96,350,000 on February 7, 1992. The case was settled shortly after the verdict for $127,500,000, which included pre-judgment interest. Mr. Ciresi went on to represent Honeywell against multiple other defendants with respect to the autofocus technology and Honeywell eventually recovered approximately $500 million for patent infringement. Atlantic Richfield Company, et al. v. Unocal Corporation, et al. Mr. Ciresi was lead counsel for Unocal Corporation in patent infringement case involving a patent owned by Unocal covering automotive gasoline compositions designed to reduce tailpipe emissions. A jury in Los Angeles awarded Unocal $91 million on October 14, 1997. The United States Court of Appeals, Federal Circuit affirmed the district court’s denial of JMOL due to the substantial evidence supporting the jury verdict. Ecolab v. Ford, et al. Mr. Ciresi was lead counsel on behalf of hundreds of women who suffered infertility issues as a result of the use of the Dalkon Shield. Two bellweather cases went to trial and resulted in jury verdicts of compensatory and punitive damages: Stremke v. A.H. Robins $250,000 in compensatory damages and $1,500,000 in punitive damages (June 1983); Hahn v. A.H. Robins $250,000 in compensatory damages and $500,000 in punitive damages (December 1983). In 1984, the A. H. Robins Co. entered into a settlement on behalf of all remaining clients represented by Mr. Ciresi. Mr. Ciresi was lead counsel in the Copper-7 litigation, in which he represented over 100 women who were injured as a result of the use of the Copper-7 intrauterine device. Two of the clients’ cases were tried. In September of 1989, a Minnesota jury awarded $8,750,000 in the case of Kociemba v. G. D. Searle. Of the verdict, $8 million was punitive damages and $750,000 were compensatory. In March of 1989, Mr. Ciresi was lead counsel in McCarthy v. G. D. Searle & Co., the second bellweather Copper-7 trial. The case was confidentially settled just prior to closing argument. In the summer of 1989, the G. D. Searle Co. settled the cases of all remaining clients represented by Mr. Ciresi. Government of India v. Union Carbide. Mr. Ciresi was lead counsel for the Government of India for damages arising from the Bhopal disaster, which occurred when methyl isocyanate (MIC) gas was discharged from Union Carbide India Ltd.’s plant in Bhopal, India, resulting in over 3,000 deaths, thousands of injuries and property damage. The case was eventually settled in India in 1987 for $470 million. Mr. Ciresi was co-lead trial counsel with Jan M. Conlin for Pitney Bowes in defending against a claim by Ricoh in which Ricoh asserted that Pitney Bowes infringed 18 claims from 4 Ricoh patents. On November 30, 2006, a federal jury in New Jersey returned a verdict for Pitney Bowes, finding that the Ricoh patents were invalid for anticipation. The jury’s verdict was affirmed on appeal to the United States Court of Appeals, Federal Circuit. Pitney Bowes v. Hewlett Packard. Mr. Ciresi was lead counsel for Pitney Bowes in a patent dispute against Hewlett Packard over laser jet printers. In 2001, on the first day of trial, the case was settled with Hewlett Packard agreeing to pay Pitney Bowes $400 million and other intellectual property considerations. Hutto v. Estee Lauder Inc.
Haagen-Dazs International Shoppe Company, Inc. v. Corporacion Todosabor C.A. Mr. Ciresi was lead counsel for Haagen-Dazs International Shoppe Company, Inc. in defending a claim brought by Corporacion Todosabor C.A. regarding a dispute over a franchise agreement. The matter went to international arbitration and Corporacion Todosabor C.A.’s claim was dismissed and judgment was entered on behalf of Haagen-Dazs International. H & D Tire v. Pitney Bowes. Mr. Ciresi was lead counsel in defending Pitney Bowes in a putitive nationwide class action. Class certification was defeated in Federal Court in the Eastern District of Texas in 1997. The case settled following remand to State Court by the 5th Circuit. Wilkinson v. Dow Chemical Co.
Mr. Ciresi was lead counsel for Richard Wilkinson in a product liability action against Dow Chemical arising from Mr. Wilkinson being blinded in an industrial accident. A jury in State court in Duluth, MN returned a verdict of $1.6 million in 1979. The case was settled on appeal to the Minnesota Supreme Court. Co-lead counsel representing families of Senator Paul Wellstone, his wife, daughter and three staff members who died in a crash of a chartered plane near Eveleth, Minnesota. The case settled against the affiliated air charter companies for the insurance policy limits of $25 million in 2003. Above case results were while Mike was at his former firm, Robins, Kaplan, Miller & Ciresi, L.L.P. Plaintiff’s Argument for Wilkinson v. Dow Chemical Company and Continental Oil, Inc. The Law and the Trial Lawyer – What Role in Society? Lawyers, Courts, and the Press: Who’s Using Whom? Lawyers, Judges and Integrity: What Good are Professional Ethics?